I'm definitely one of those people that feels that Hugh Jackman's run as Wolverine has gone on a wee bit too long. Sure has certainly done the character justice in terms of his portrayal but Fox seems unable to make the most of the character and so we've ended with increasing disappointing movies. The initial X-Men movie franchise quickly burned out and the decision to create spinoff Wolverine-centric movies didn't quite pan out all that well either. But then the trailers for Logan started to come out and things certainly seemed promising. It had a strong Old Man Logan vibe but also an odd note of The Last of Us. But on the whole it seemed to be a good thing - plus the fact that this an R-rated Wolverine movie (as inspired by the likes of the Deadpool movie), so we'd finally get to see the character really get as violent as his comic book description implies. The movie was definitely better than some of the other standalone Wolverine movies but still not quite what I had hoped. It certainly had some great action and some great individual character moments but it also has a story that gets a little wonky in the middle of things. 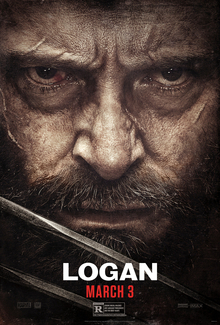 Synopsis: Logan is a 2017 superhero movie directed and co-written by James Mangold together with co-screenwriters Scott Frank and Michael Green. The movie is the third and final standalone Wolverine movie. It is 2029 and the world's mutant population has largely died out or disappeared with no new mutants being born. Logan (Hugh Jackman) now works as a limo driver and is trying to maintain a supply of medicine to keep a now senile Charles Xavier (Patrick Stewart) stable. He is suffering from a neurological condition with his seizures being potentially lethal to everyone in the area given his telepathic abilities. Beyond that, Logan also isn't doing too well either as his own mutant healing factor seems to be failing, hence his now aged appearance. Logan is approached by Gabriela (Elizabeth Rodriguez), a nurse who worked at a company known as Transigen. She begs Logan to take her and her daughter Laura (Dafne Keen) to North Dakota. Wolverine is reluctant to get involved as this may mean trouble for him and Xavier but in time he relents. He eventually discovers that Laura isn't Gabriela's daughter - she's something special indeed. What I Liked: So yes, an R-rated Wolverine movie means that we get super violent fight scenes and it's just as gruesome as you'd expect.. We're not even talking about wasteful slashes that look more dramatic. We get Wolverine doing his best to remain lethal despite his physical condition by making more direct strikes to the head or straight to the heart. It makes for some pretty intense moments. And then we come to the young Dafne Keen, who is a brilliant young actress. A lot of the movie relies on her portrayal of her character and doing so with very little dialog as designed by the plot. And so the expressiveness of her eyes and the way she forms faces is crucial to getting her story across and this little girl does well in every scene that she's in. What Could Have Been Better: This movie is not based on great comics like Old Man Logan and is an entirely original story as we've seen in some of the other movies in the X-Men movie franchise. And the movie suffers from terrible second act problems as the middle of the movie totally slows down and goes in weird direction. They sort of try to recover things towards the end but that middle portion is such a drag that it was a struggle to get through things. And some of the character decisions were really odd. Why did they secure Charles Xavier the way they did - did that setup do anything to stop the bleed from his wild psychic abilities? Of all the mutants in the world, why did Logan end up with the likes of Caliban (Stephen Merchant) as a companion? And how did the nurse make her special message to Logan at the end while staying on the run from her pursuers? Little things like this make aspects of the story not quite make sense. TL;DR: Logan is probably the best of all the Wolverine movies but it doesn't make it a good movie on its own. It has nice visual moments and can be enjoyed from time to time but it is also bogged down by a lot of story elements that don't fit too well together. So the movie only gets 3 guttural cries of frustration out of a possible 5.